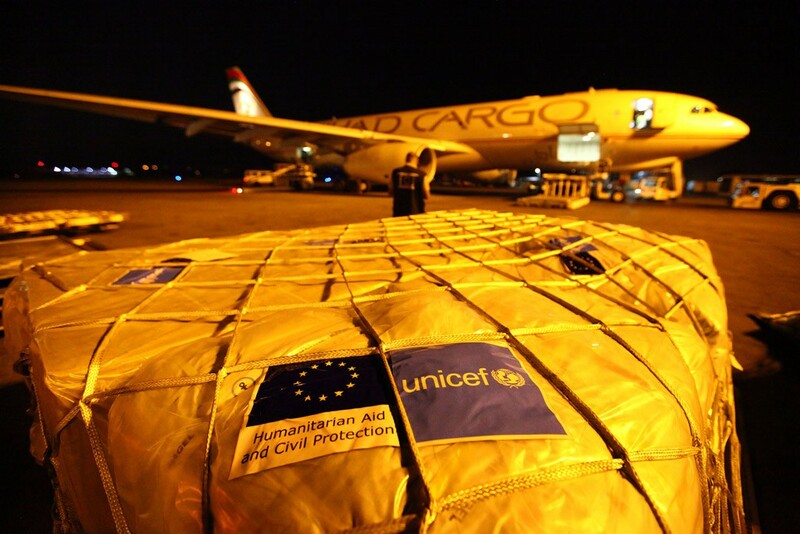 EU humanitarian aid: Is Nepal on the radar? Although the EU is one of the biggest aid donors in the world, it is often inhibited in its strives by grand political and economic pursuits. Nepal has experienced one of the worst earthquakes in the history of natural disasters, sweeping more than 8000 lives and rendering many homeless. Prone to severe floods, landslides and earthquakes, Nepal has constantly struggled with building resilience and support for its vulnerable population. As a result, ECHO (DG Humanitarian Aid and Civil Protection) has been involved in disaster preparedness and risk analysis as well as reduction since 2001 in Nepal. In the wake of devastating 7.8 magnitude earthquakes, the European Commission has mobilised €6 million to meet urgent needs that would provide medical facilities and shelter. So far a total €22.6 million has been mobilised for early recovery and rehabilitation. However, given the various challenges that lie in external policies of EU, it is pertinent to highlight that the humanitarian response must lie independent of other agendas that may jeopardise the need-based approach towards the disaster situation in Nepal. Although the EU is one of the biggest aid donors in the world, it is often inhibited in its strives by grand political and economic pursuits. The EU does internalises the core International Humanitarian Laws in theory, still some of its features come under threat due to its other external policies. The Treaty of Lisbon further reasserted “impartiality and non discrimination” in the conduction of humanitarian policies. Similarly, “European Consensus on Humanitarian aid” asserts that humanitarian aid cannot be used as a political tool. Since EU aims to adopt a coherent approach in crisis management by integrating policies between ECHO and EEAS (European External Action Service), it leaves space to dilute the core principles of humanitarian aid. Excessive focus on building resilience (which requires to build synergy amongst other external policies) amongst national populations contradicts the need-based approach by the EU related relief efforts. It is relevant to highlight how EU’s response to humanitarian crisis during Pakistan floods in 2004 fell on significant hurdles not only from other international actors but also from its own crafted policies as well as Member States. The European Council, while facilitating aid to meet urgent needs, also adopted policies that granted preferential trade status to Pakistan products in order to bring them on a road to recovery. This step was stalled by certain members although it was in consonance with EU’s humanitarian objective that falls in line with Article 21 of TEU as well as Lisbon Treaty. Several EP members and some industries in Spain and Portugal highlighted how this step could among others jeopardise the ethanol industry, hence advocated for incorporating a mechanism to ensure political conditionality, in this case ensuring respect of human rights in Pakistan. This factor emerges from EU’s Common Commercial Policy but still deprives humanitarian assistance to operate independently. The core principle of humanitarian assistance is to operate strictly based on needs, devoid of any political conditionality. However, in case of Pakistan, the EP accepted the proposal only after the conditional clause of “respecting fundamental rights’’ was included. Moreover, EU also faced objections from other international players like WTO wherein some of its members, including India, challenged this step and highlighted that this preferential trade treatment leads to geopolitical pursuits of EU in the region, rather than humanitarian needs of Pakistan. DiPECHO (the EU Disaster preparedness program) had also initiated four projects in Nepal in 2013 which aimed towards building resilient communities and disaster preparedness as well as bridging the gaps that lie in the health sector. Besides, Nepal has also been a receiver of resources under the bilateral cooperation of the Development Cooperation Instrument which focused on peace-building, education and rural development. This aid was, once again, contingent upon political developments in the country. Development assistance and humanitarian aid are closely entangled and it is challenging to differentiate between “ad hoc assistance” and structural assistance. While the former focuses on an immediate need-based response, the latter implies a long term approach that empowers the people and the Government. EU Council’s humanitarian aid response is punctuated by legal and operational hurdles that emerge from a multi-level amalgamation of different institutions and policies. EU should not threaten its core humanitarian values to pursue political and economic objectives. It executes its projects through other organisations, therefore it is integral to strengthen monitoring and evaluation mechanisms in Nepal which would determine effective steps to rebuild and strengthen the affected and vulnerable communities.